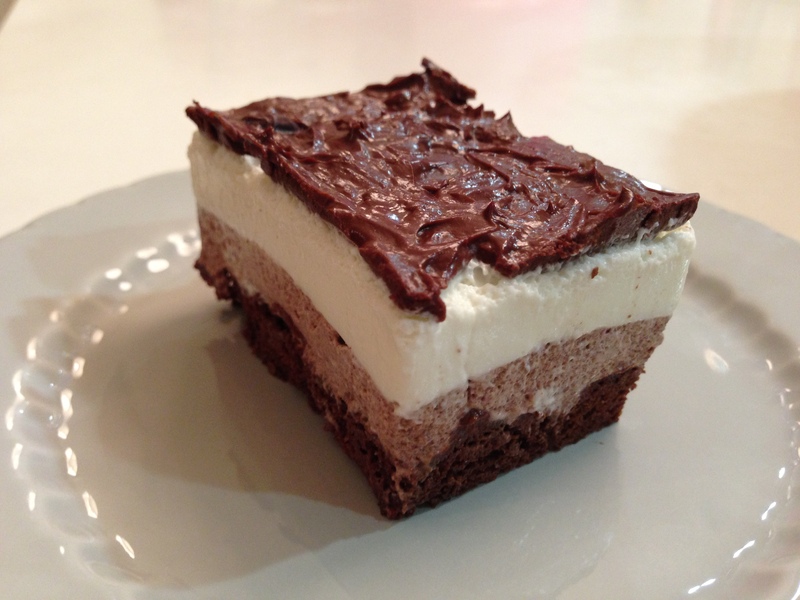 triple chocolate mousse cake | what is clara eating today? 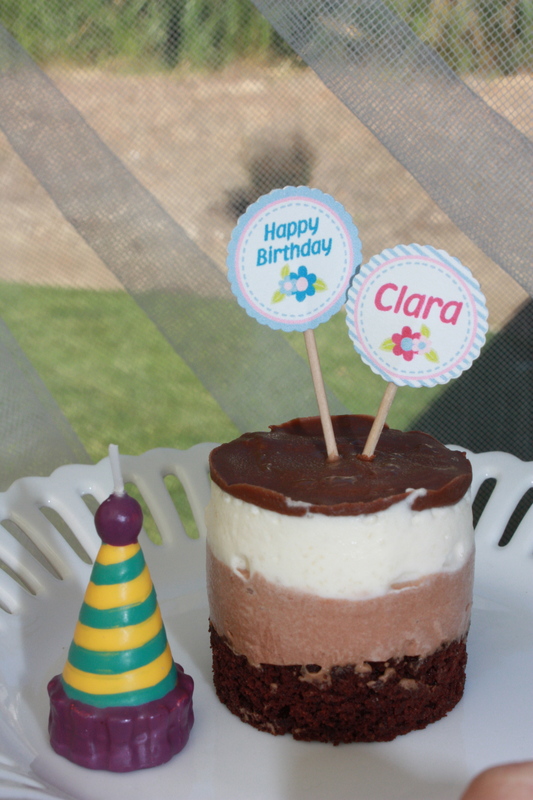 I made this cake for Clara’s last birthday but lost the recipe before I had a chance to post it. The recipe was modified from this recipe. I was hesitant to share this recipe since you have to do your own calculations. Depending on the mold you use and the amount of mousse you layer, the ratio will vary, but there were many requests for the recipe, so I am posting it for you to play around with the recipe to fit your own diet. coconut cake baked using two mini loaf pans. Cut the cake with each ring mold. 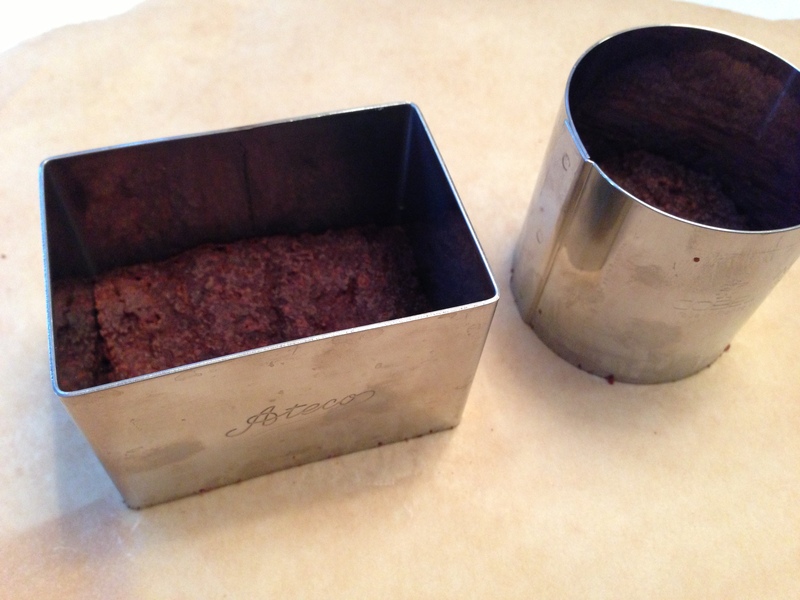 Keep the cake in the mold and place the mold on a parchment lined pan that will fit in your freezer. Heat up milk in a small sauce pan. Turn off the heat and pour the gelatin mixture in. Mix well. Pour over the finely chopped chocolate and Truvia. Mix well. 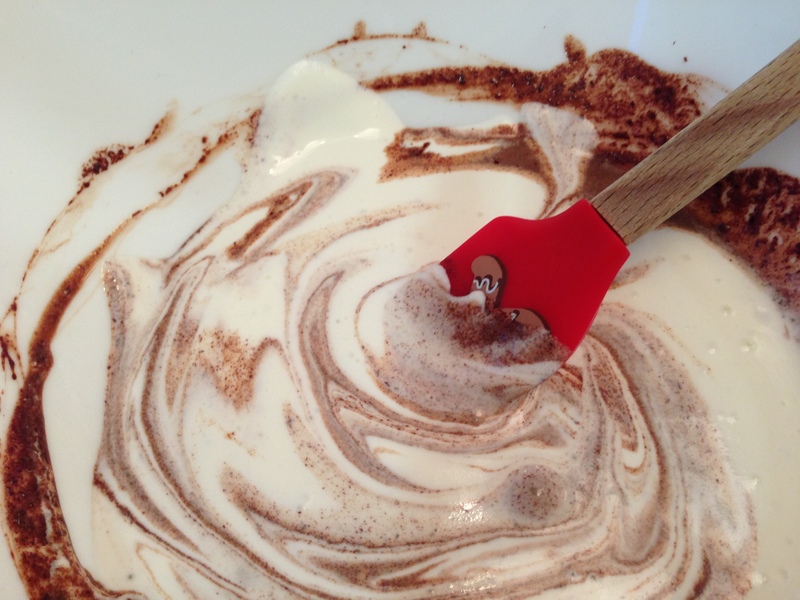 Whip the cream until soft peak forms. Gently fold into chocolate. Pour the mousse into the molds about half way. Put the tray in the freezer while you work on the white mousse for about 5-10 minutes. 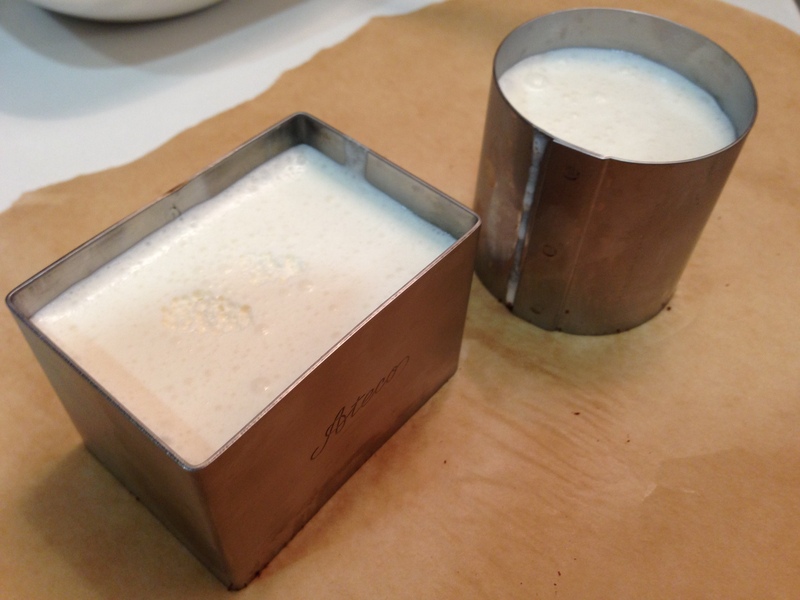 Heat up milk in a small sauce pan. Turn off the heat. set aside. Whip the cream until soft peak forms. Gently mix in the gelatin mixture. Pour the mousse into the molds almost to the top leaving a little space for chocolate glaze. Put the tray in the freezer for about 5-10 minutes while you work on the glaze. Heat cream and Truvia. Pour over chocolate and mix well. Pour over the top of the cake mold filling to the top. Let the cake set in the freezer. Keep it in the freezer until ready to serve. Roll the mold around in the palm of your hands to release the cake from the mold. Gently push out the cake from the bottom. If the cake was in the freezer for a while, let the cake defrost for 1-2 hours before serving. I didn’t calculate the ratio since it will vary depending on the mold you use and how much of each layer you decide to use. I used spoonable Truvia. If you have packets, it should be the same to use. You will just need to open many packets. Hope that helps!